My husband LOVES Cherry pie. So when he asked me to make one for our holiday dinner I was like “crap, no Marie Calendars pie this year.” Well, I started looking at recipes and asking my friends. 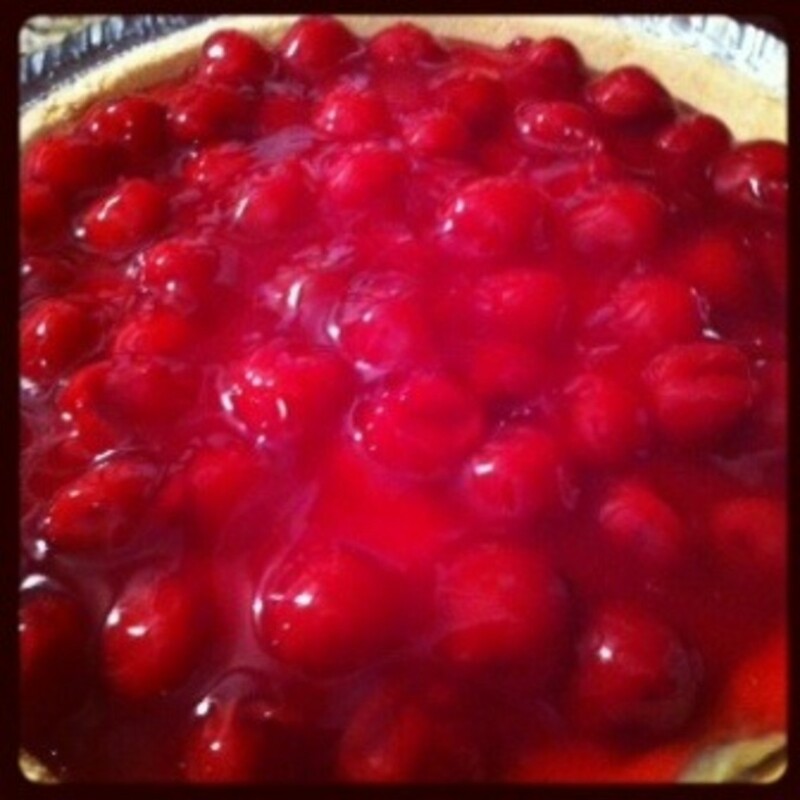 I found a delicious recipe for Cherry Pie. 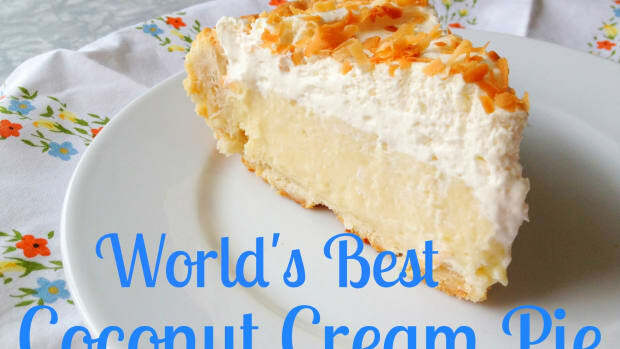 Its a cream cheese/cheesecake pie. It turned out great. 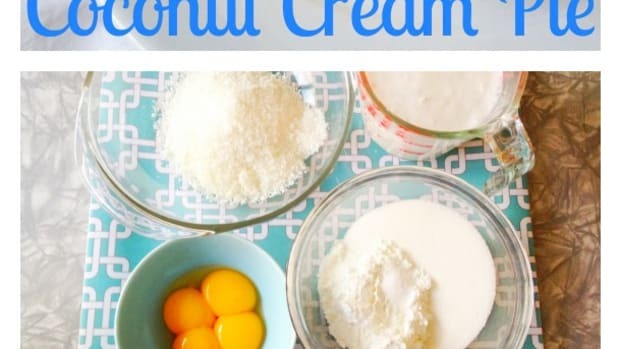 I found the simplest recipe on All Recipes. I am LOVING this site and it has an APP for the iPhone. 1 8 oz cream cheese, soften. – don’t microwave it to get it soft, that is a no-no. Get the cream cheese out in the morning and leave it out until your ready to make the pie. 1/2 C white sugar- start with 1/4 c first as you blend then add the rest. I found this made it more fluffy. 2 C frozen whipped topping, thawed. –start with 1 c then add the rest. You can get it to the consistency you want by doing it this way. 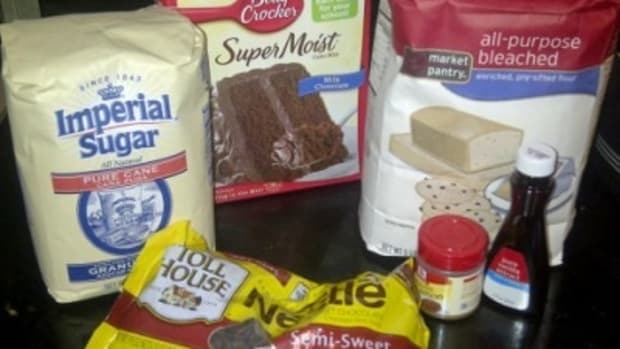 Then the best part… NO BAKING. Chill the pie for 2-3 hours before and your good to go!! My Grandma Allen perfected the pie. My favorite? 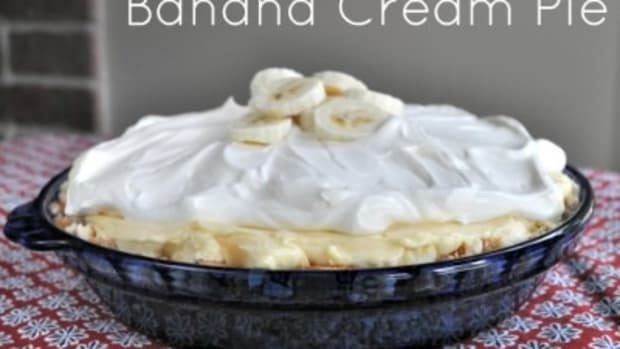 Her Banana Cream Pie. 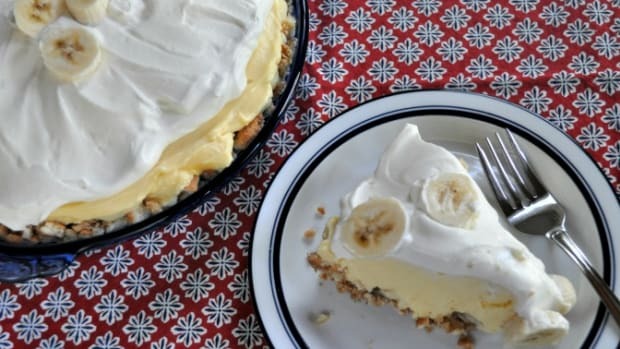 No one makes a cream pie like Grandma Allen, but this easy banana cream pie recipe is a winner at our house! 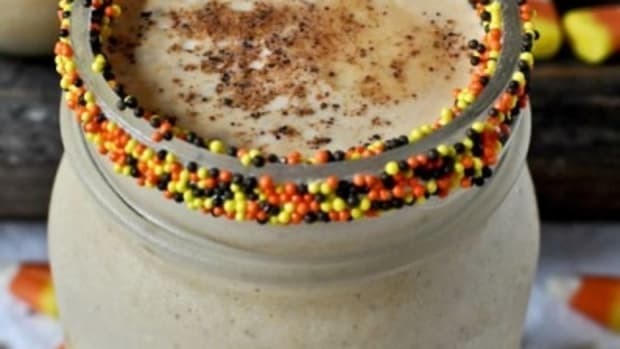 I found this recipe and had to share. A Spooky Cream Cheese Mummy Recipe! Now this mummy made my halloween rock a few years ago. I just found the pictures now to show you! 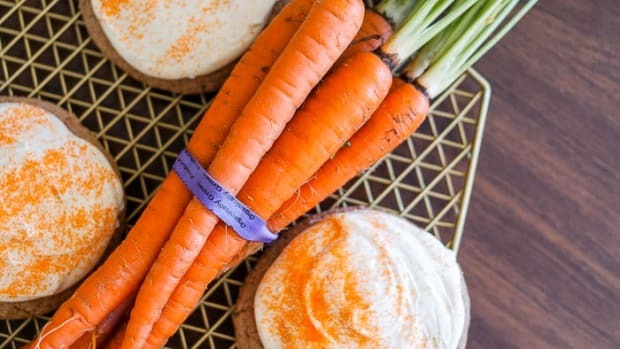 These carrot cake mix cookies are so simple to make.